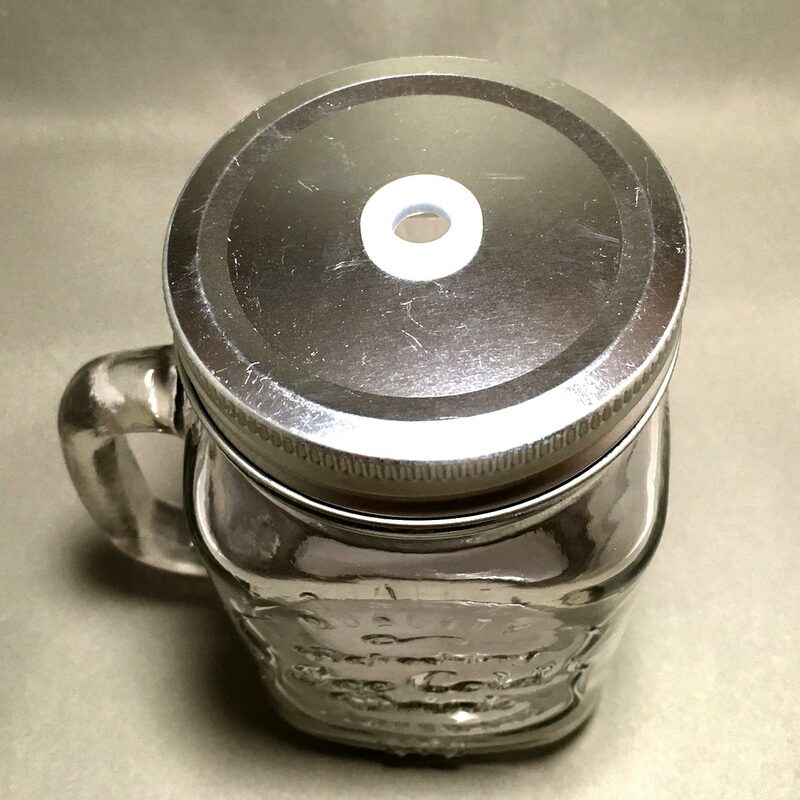 This glass mason drinking jar holds 490ml (roughly 0.86 UK pints) and comes with a metal screw lid. 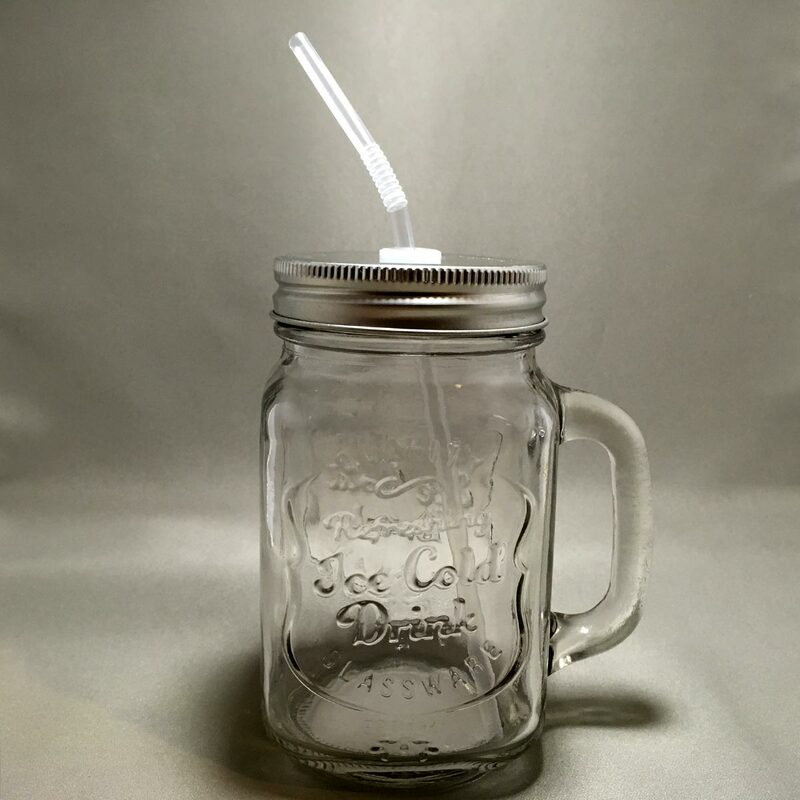 The lid has a straw hole that is protected with a silicon grommet to prevent minor leakages (straw not included). 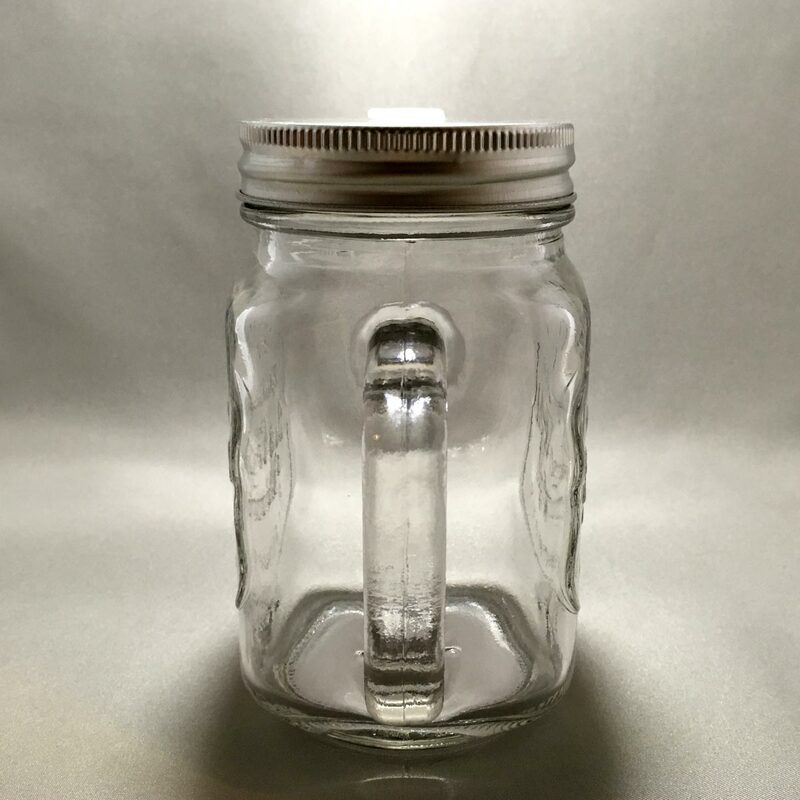 The drinking jar has a sturdy handle making it easy to hold. “QUALITY – Refreshing Ice Cold Drink – GLASSWARE – Est 1841”. – Do not store near heat or open flame. – Do not use scourer or abrasive cleaners as they may cause scratches on the surface. – The drinking jar is not leak-proof. Do not tilt the jar as the liquid may leak. – Do not pour hot water, or pour cold liquids when the glass is hot. Sudden temperature change could lead to breakage of glass. – Keep away from direct sunlight and moisture. – Keep out of reach of infants and children. – Do not use bleach or sterilize with boiling water. 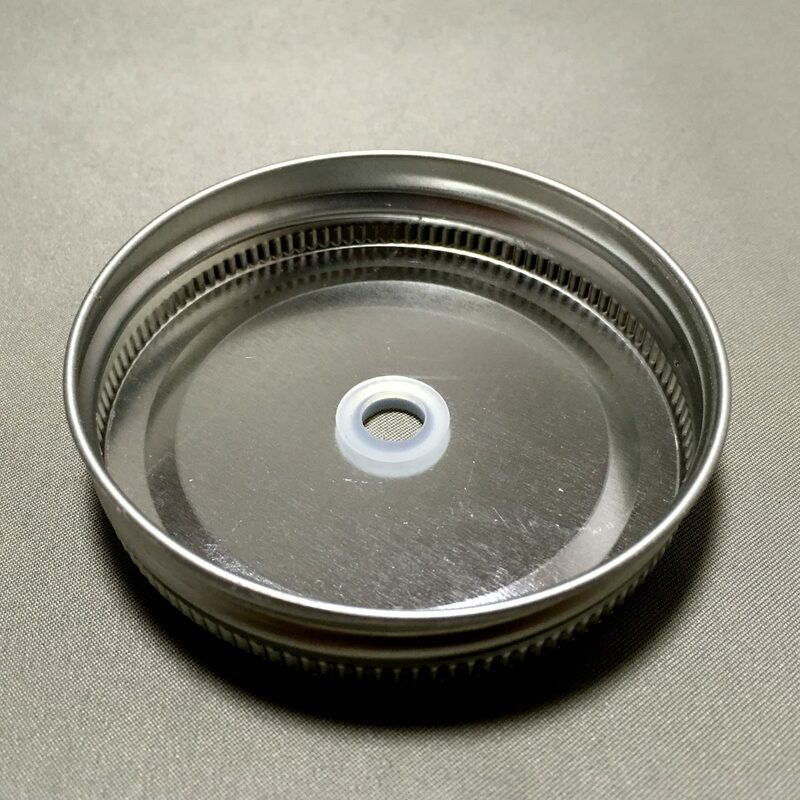 – Keep fingers away from the hole in the lid to avoid injuries. 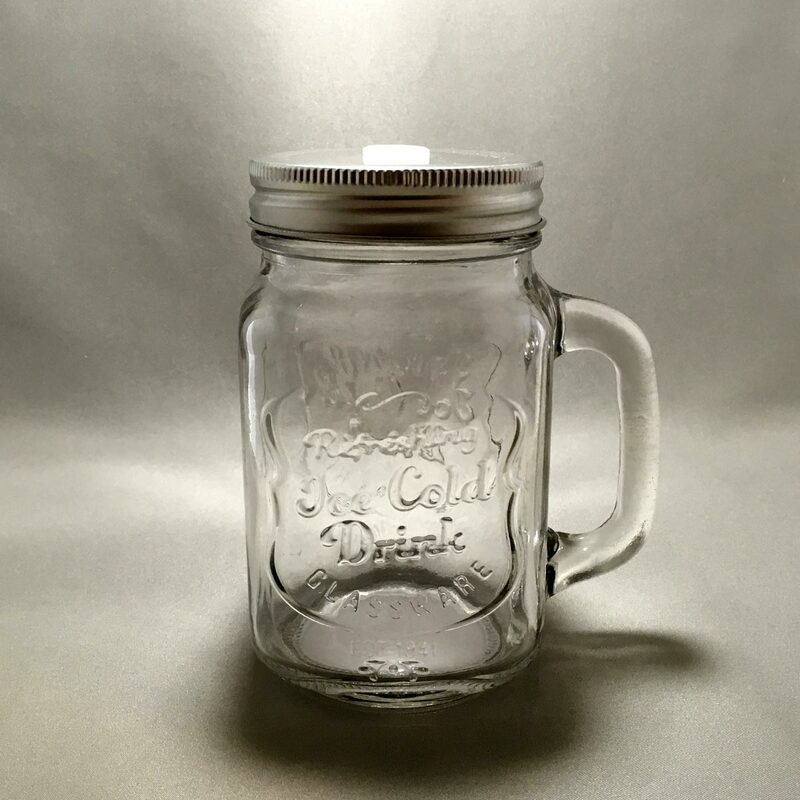 I have been using the drinking jars since the summer of last year for my cold drinks, and nothing beats drinking from a chilled glass. 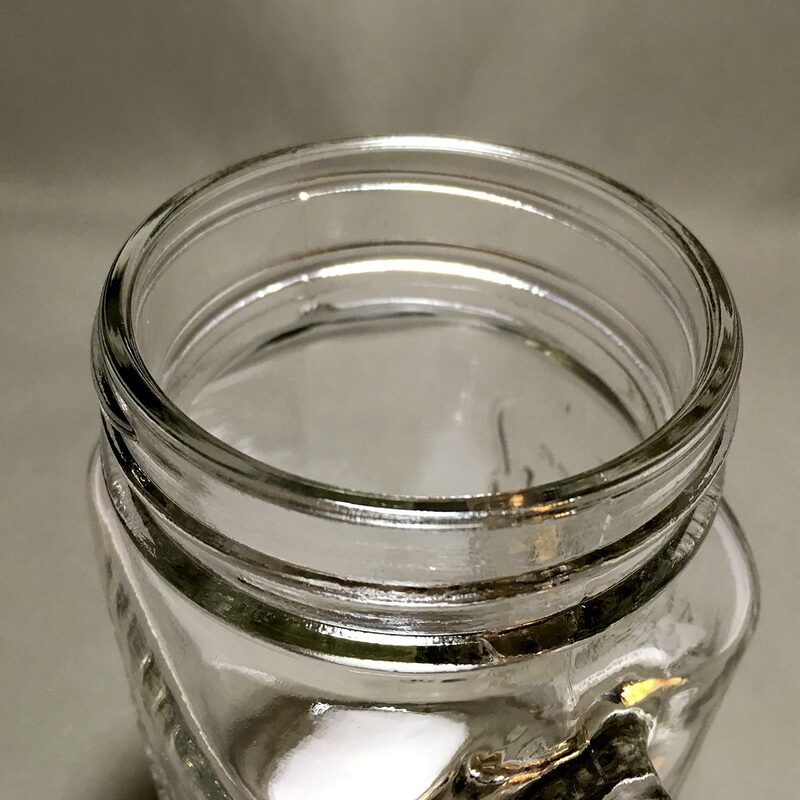 The jars were sold everywhere over the summer last year, which is probably why this year they are stocked in Can★Do just before the hot and humid summer (which is supposed to be very long this year). 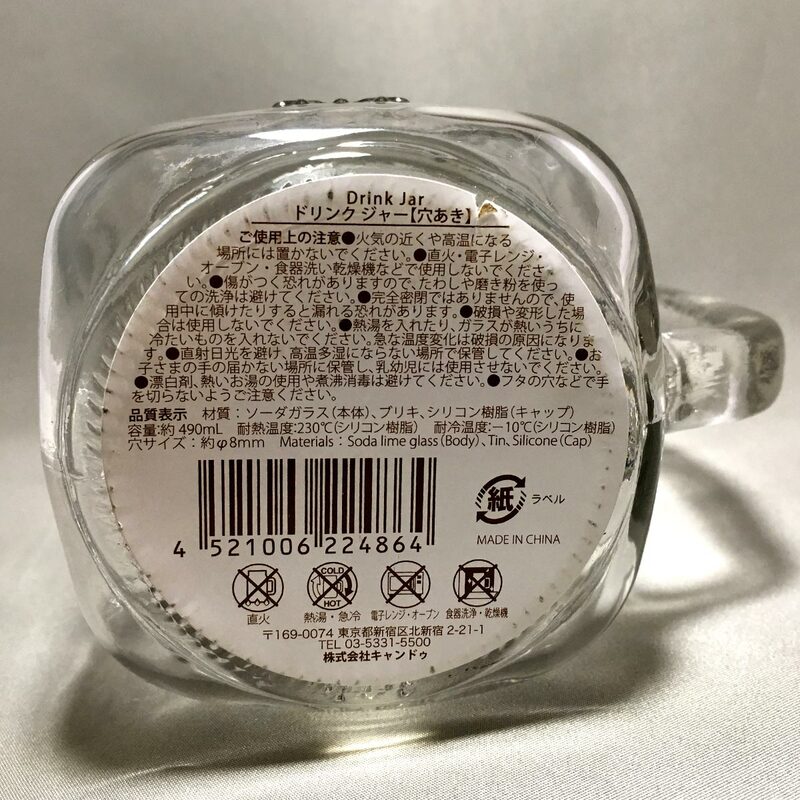 Most drinking jars I saw in stores are fairly expensive, so I was surprised to see this for just 100 yen. The glass jar and handle is thick and solid, very pleasant to hold and carry around. I like the silicon grommet that protects the straw hole, preventing leakages. 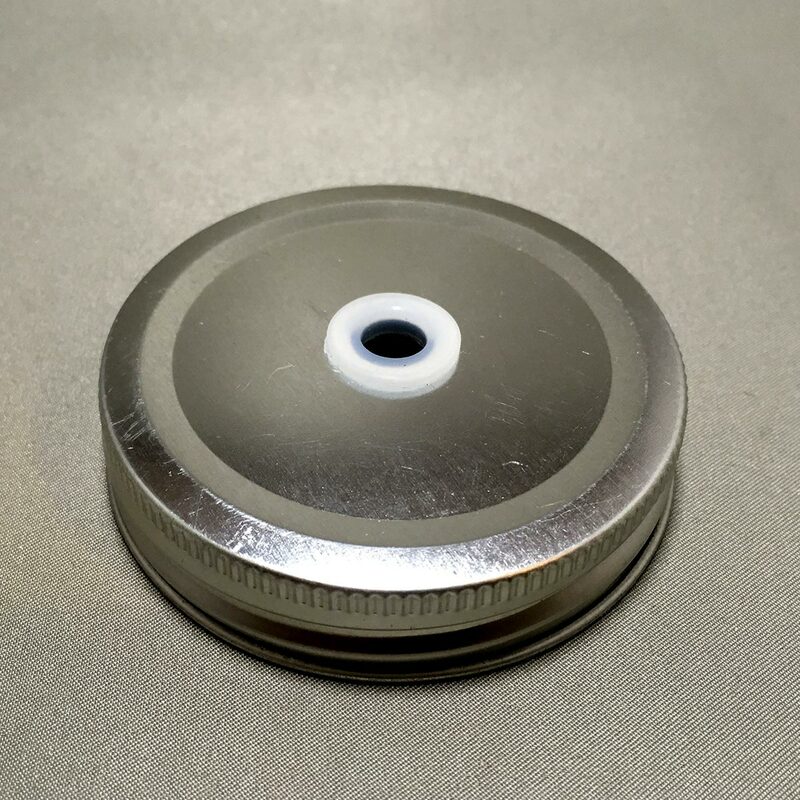 However, the lid itself does not have any lining on the base to create a leak-proof seal between the lid and the rim of the jar. The tin lid was scratched a bit when I got it, probably scratched when it was on the shelf over at Can★Do. I like the size and weight of the jar when I hold it, probably make good use of it over the next couple of months. Here are some other mason drinking jars I found. 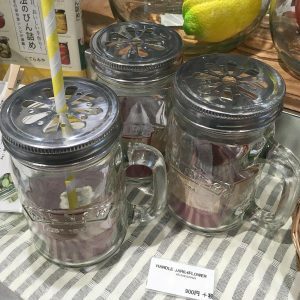 The glass jar is very similar to the one from Can★Do, but the price is 900 yen + tax. I need buy one quality refreshing ice cold drink glassware. Hi Helio, thank you for leaving a comment. 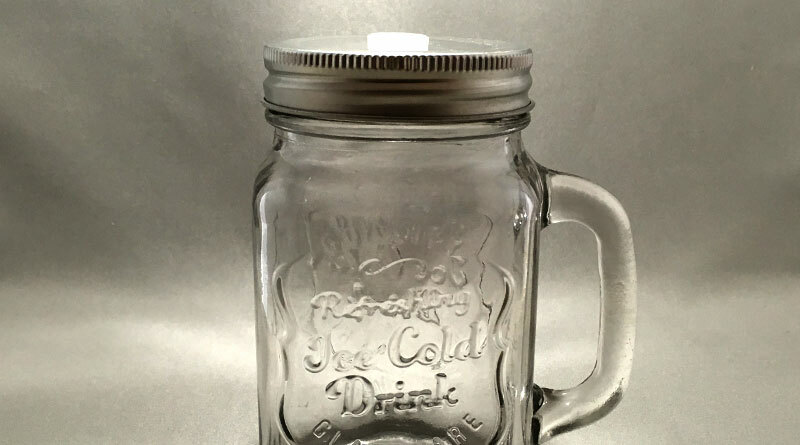 I will email you directly if you are interested in purchasing one of the Mason Drinking Jars. Hi Helio, thank you for the order. 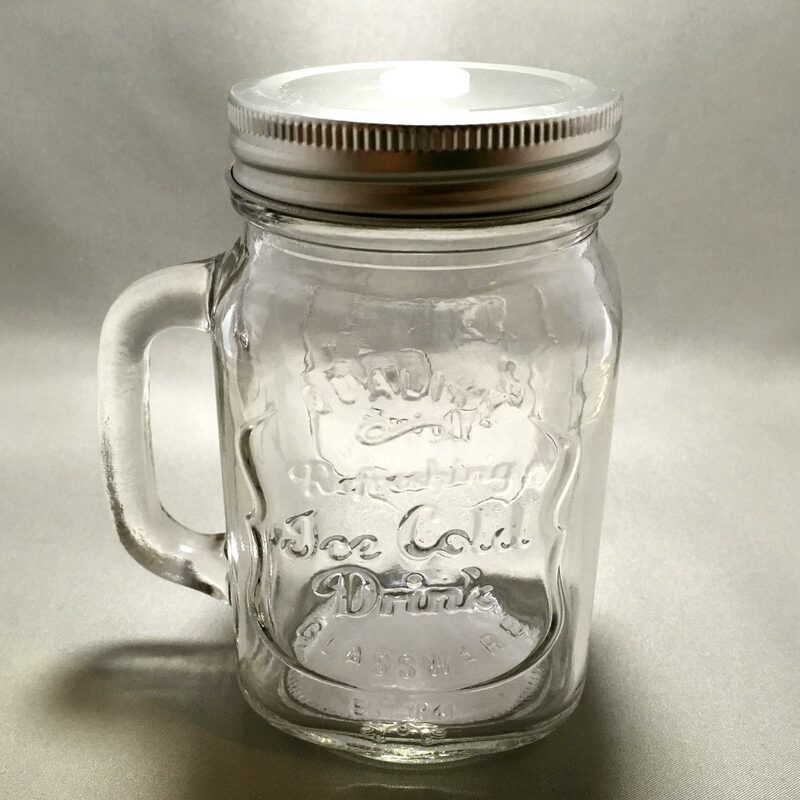 You should receive the mason jar in a few days. Hope you like it.